Suram Vignesh Arjun S/o Narender (Born on 3rd June, 2008) from Warangal, Telangana, India. 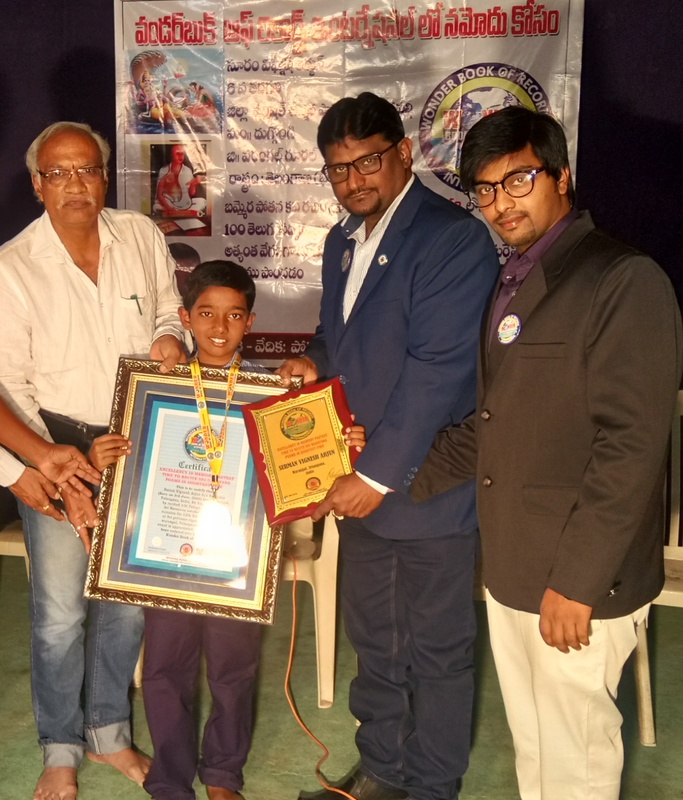 He has set a record by recited 100 Telugu poems from Sri Narayana satakam within 15 minutes On 12th November, 2018 at Sri pothana vignana peetham warangal, Telangana, India. This event is appreciated.